Welcome home. This prime Dublin location offers you a wonderful open kitchen / family room floor plan. The large covered patio seamlessly takes entertaining from inside to outside, or just a quite moment for you to enjoy a cup of coffee and a new book. Family room features a gas fireplace. Interior laundry and the washer and dryer will stay in the unit. Master bedroom bathroom has a spacious walk in shower all recently updated with new tile and sliding glass door, double sinks, and large walk in closet. Updates to this condo include, Wood flooring in the entryway and stairs, tile in the patio, slate flooring in the kitchen, 1/2 bath and laundry room, gorgeous new back splash in the kitchen and more Spacious bonus space can be used as an office, hobby room or second bedroom or endless possibilities. Single car garage. 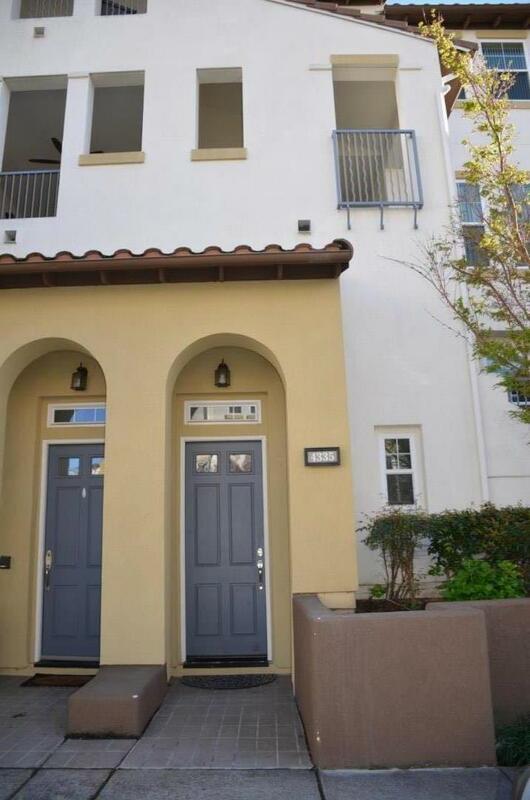 Easy access in and out of your condo and to shopping, freeways, and BART.